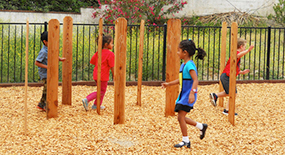 Whole Child Academy is a premier early-education facility for Pre-school, Transitional Kindergarten (TK) and Kindergarten children. 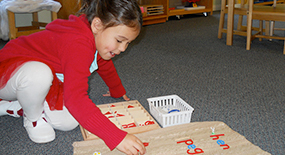 Our students are fully prepared for the Common Core State Standards and our TK program ensures a successful transition to Kindergarten. We provide an exceptional “whole child” educational program, and as a non-profit (501c3), our goal is to make this state of the art school available to the entire community. Surrounded by nature, nestled in a beautiful suburb in Thousand Oaks, this hidden gem serves families from Thousand Oaks, Westlake Village, Oak Park, Moorpark, Simi Valley, Porter Ranch, Newbury Park, Camarillo, Somis, Agoura Hills, Hidden Hills and Calabasas. 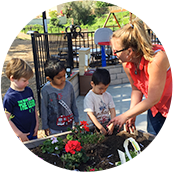 At WCA, children learn about sustainable living while they plant, care for and harvest produce in their own Organic Garden. We take care of your children like you would at home with healthy organic snacks and drinks; feeding their mind and body. 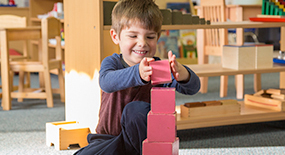 The Montessori philosophy focuses on the development of the whole child, respect for the child through an individualized curriculum and a child-oriented, prepared environment.